We're showing information for 55044. Modern customers are clever. They look at reputations and business records, choosing the business that can best address their specific needs. That means the Minnesota market is always getting more competitive. Having a fast, reliable Internet connection will set your Lakeville, Minnesota up for success. Frontier Business packages offer a variety of phone and Internet services—including Business High Speed Internet—designed to help you stay connected with both your customers and employees. Having the most advanced technology can help small businesses in The North Star State attract and manage a dependable, qualified staff. In Lakeville alone the rate of job-growth is expected to reach about 27.88 percent. Give your business a leg-up with Frontier’s services for small businesses that can help you impress your current and potential customers while simultaneously attracting top talent. Features like Texting can help you promote sales, while Conferencing can help you connect with your team and better define goals. Options such as Web Development and Hosting services provide a foundation for a greater online presence, while Managed IT keeps your company’s data secure. These products and services were designed specifically to put your business ahead of the competition—find out what Frontier can do for your company. But adapting to growth is just one way to improve your business. It will take much more if you’re truly going to thrive in the Lakeville market. 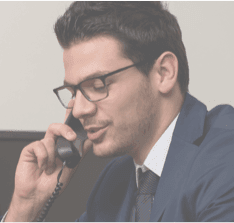 And to meet the imperative need for reliable communication with your clients and employees, Frontier’s Hosted VoIP solution offers high-quality sound and voice resources including Caller ID, Voicemail, unlimited nationwide calling, and voice-to-email integration. Of course, to reach your full potential, you’ll also need top-notch equipment. Centrex from Frontier provides you with advanced telephones, so you can be sure your The North Star State customers hear you clearly. Frontier will even manage your network design, hosting, monitoring, equipment, and other peripheral functions so you can focus on other priorities. 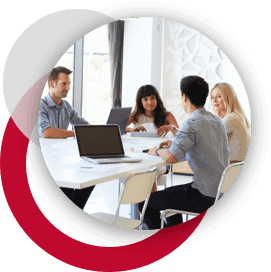 Since your concern should center on clients, Frontier Communications will provide pristine-quality calling and phone lines you can count on. It doesn't matter what industry you are in, from Finance to Hospitality, your customers and potential customers want to be able to get in touch easily and efficiently. They expect to interact with your employees online, in person, and over the phone; and they are more likely to become long-term, repeat customers if your business makes these interactions easy and productive. Frontier offers communications solutions that are tailored to your industry--and these resources can make it easier for you to connect with your clients and employees. Plus, you get high-quality equipment, round-the-clock customer service, and dependable infrastructure in your area. Want to make sure your business isn’t derailed by cybercrime? Believe it or not, there were 0 cybercrimes reported in Minnesota during 2013. Fortunately, there are ways to prevent such a crime from happening to you. Frontier Secure includes malware and virus protection, cloud backup, and the technical support you need to keep your business safe. Frontier also offers equipment replacement programs, so you can take every necessary measure to keep your Minnesota business secure and successful. Of course, in order to be truly successful, your business will need to pair strong online security with a fast Internet connection. If you want to spend more time improving customer experience and less time waiting for files to download, Frontier’s Internet solutions offer the fast speeds you’ve been looking for. In fact, you can enjoy speeds of up to . How’s that for fast? Frontier has special Internet security and speed solutions available for local businesses like yours. Call today to learn more!